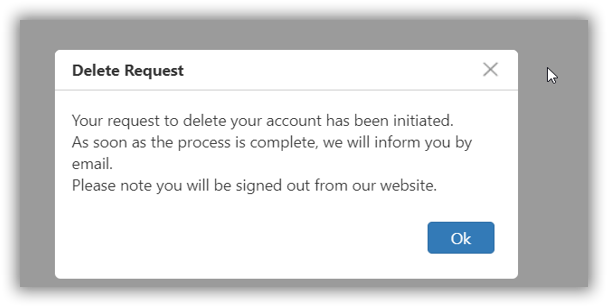 Delete your Syncfusion account using the following steps. Go to My-profile page, and then click Delete Account link at left. Click Delete Account, a pop-up will appear. Now, your delete account process has been initiated to Syncfusion, click OK to proceed. Note: After completing the process, your account has been deleted within 3 to 4 days as per your request. 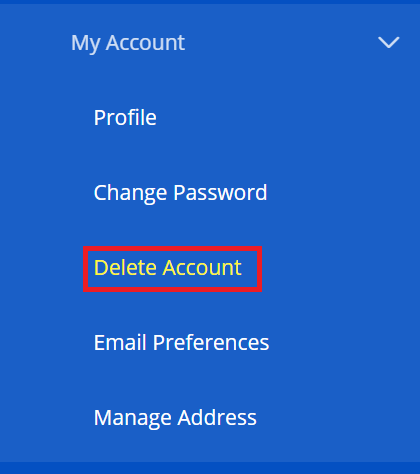 If you want to cancel the delete account request, click Cancel Delete Account Request. This cancel request is only available for 72 hours.